Sylvie's book can be purchased online at www.WinningTheWarOnCancer.com as well as Amazon, Barnes & Noble and other fine book stores. Cancer in kids is on the rise — what's the cause? Yesterday was the International Childhood Cancer Day. No statistic can ever translate the devastation that comes with the sentence, “Ma’am, your child has cancer.” The news of a child’s cancer is like a cyclone wreaking havoc on an entire family; unfortunately, more and more families are actually hearing it. Although more than 80 percent of children with cancer in the U.S. now survive five years or more, the incidence of childhood cancer has been steadily increasing by an average 0.6 percent per year since 1975 to become the number one cause of death by disease in children. What’s wrong with our kids? What is making them sick in the first place? Well documented lifestyle-related risk factors, such as being overweight, and habits like smoking and drinking alcohol are known to play a major role in many types of adult cancer, but are not officially associated with childhood cancers, since they usually take many years to influence cancer risk. However, recent research has uncovered a possible overlap between cancer and autism (another increasing threat to our children: nowadays, one in 68 American children are autistic, 30 percent more than in 2012). According to researchers at Massachusetts General Hospital, cancer and autism could be superficially different deviations in development and function, that at a deeper level derive from common mechanisms regarding signaling pathways related to metabolic alterations. Could all those children diagnosed with cancer and autism be victims of the increased toxicity that starts poisoning us even before birth? A study spearheaded by the Environmental Working Group found an average of 200 industrial chemicals and pollutants in umbilical cord blood from babies. Tests revealed as many as 287 chemicals in umbilical cord blood, 180 of which are known to cause cancer in humans or animals. And as soon as we begin eating and drinking as young children, additional sources of pollution find their way into our bodies. In 2012, the U.S. Food and Drug Administration (FDA) banned Bisphenol A (BPA) — a chemical commonly used for decades in plastic products from being used in the manufacturing of all baby bottles and spill-proof drinking cups. Unfortunately, many consumer products are still manufactured with BPA. Even low levels of BPA affect the hormones that control the development of the brain, the reproductive system, and the immune system. The National Institutes of Health and the Environmental Protection Agency found that the BPA levels in humans are typically higher than the levels causing adverse effects in animal studies. What is the future holding for our children? There is no more prophetic depiction of this state of affairs than what Dr. Ghislaine Lanctot wrote in the introduction for the 2002 re-edition of her book, “The Medical Mafia,” “Food is irradiated, milk pasteurized, genes modified, water is contaminated, and the air is poisoned. Children receive 35 vaccines before entering the school system. Whole families are drugged; the father on Viagra, the mother on Prozac, and the children on Ritalin. Supporting and rejuvenating the functioning of the body’s own systems on a daily basis through potent and complete whole-food formulas is the necessary next step to protect our health. There is a significant difference between natural and synthetic vitamins: Natural vitamins come with various bioflavonoids, those cofactors thought to increase the bioavailability of vitamins by 30 percent. 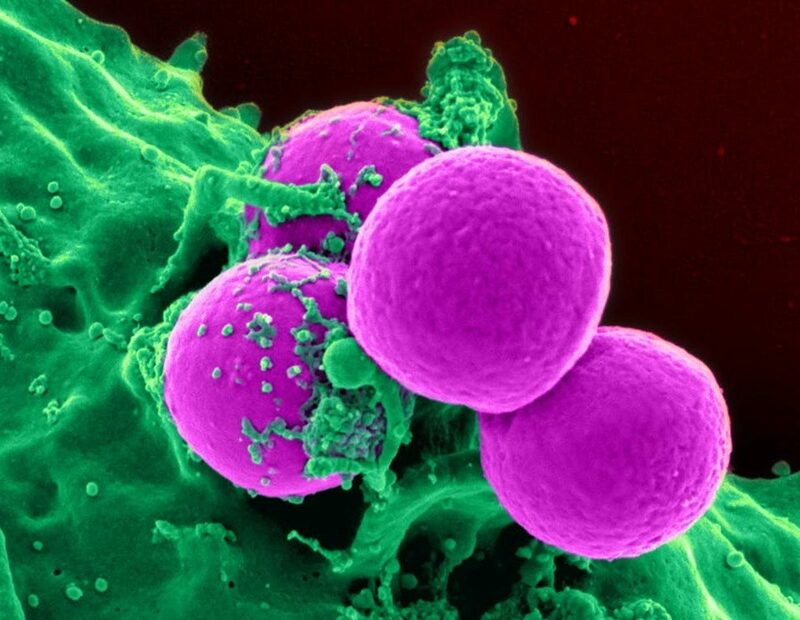 Finally, the obvious last step should be to incorporate supplements that help fight the onslaught of increasingly common viruses, such as Epstein-Barr virus (EBV), human papilloma virus (HPV), hepatitis B and C viruses, human herpes virus and HIV. All are capable of causing the development of cancers. Other supplements may support a healthy level of white blood cells and platelets, which remain at the core of our immunity. Some studies show that some specific RNA fragments will just do that. It will take lawmakers, scientists, industry and advocates worldwide to come together to create a new and better environment; yet how many children around the world have to die before we get the message that they need a better, cleaner place to live and thrive? Sylvie Beljanski is the founder and vice president of The Beljanski Foundation, which does research on natural compounds in order to help fight cancer. 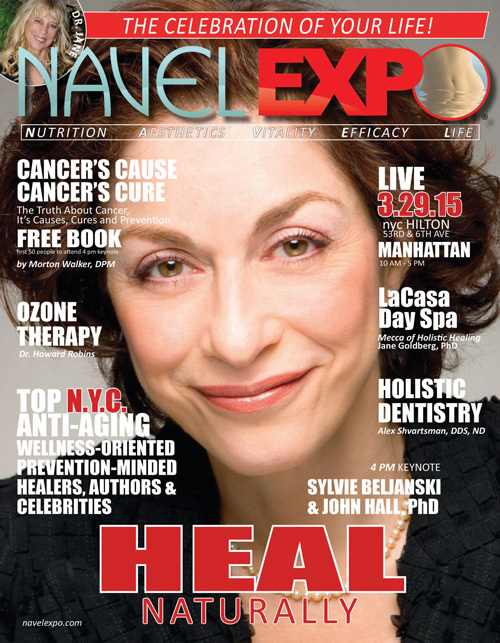 She is also the author of Winning the War on Cancer: The Epic Journey Towards a Natural Cure. Today is World Cancer Day. According to the 2008 World Cancer Declaration, the primary goal of the global observance is to help raise people's awareness of cancer and to significantly reduce illness and death caused by cancer by 2020. So, how have we been doing so far? According to estimates from the International Agency for Research on Cancer, there were 14.1 million new cancer cases in 2012 worldwide, and by 2030, the global burden is expected to grow to 21.7 million new cancer cases. Does this mean that Americans have struck the holy grail of cancer treatment? Not really. Certainly, progress has been made in some areas, and there are some real success stories. But often, those can be linked to legislation and financial resources devoted to early detection, rather than improvement of the treatments themselves. “A decline in consumption of cigarettes is credited with being the most important factor in the drop in cancer death rates,” commented Dr. Otis Brawley, Chief Medical Officer of the American Cancer Society. The decrease of new colon cancer cases has been attributed in part to more people getting colonoscopies, which can prevent cancer through the removal of precancerous polyps. As for the decline in the number of reported prostate cancer cases, it is mainly due to the fact that fewer cases are now being detected: PSA testing (blood test used primarily to screen for prostate cancer) is no longer being routinely used because of high rates of over-diagnosis, according to the American Cancer Society. Other cancers are on the rise, including leukemia, cancers of the tongue, tonsil, small intestine, liver, pancreas, kidney, thyroid, vulvar, pancreas, as well as endometrial cancers, male breast cancers, testicular cancers, and throat cancers. For individuals aged 60 to 69 years, the incidence of liver cancer increased by 8 percent each year between 2010 and 2014 and by 3 percent for those 70 years of age and older. The fact is that at the beginning of the last century, one person in twenty would get cancer. In the 1940s, it was one out of every sixteen individuals. In the 1970s, it was one person out of ten. Today, one out of three individuals will get cancer in the course of their lives. Sadly, even the incidence of childhood cancer follows the same trend, averaging a 0.6 percent increase per year since the mid-1970s and resulting in an overall increase of 24 percent over the last forty years. Where shall we run for safety? "On World Cancer Day, we have an opportunity to collectively examine cancer control strategies to identify winning formulas that will accelerate progress,” says Heather Bryant, Vice President of cancer control at the Canadian Partnership Against Cancer. So, what are the best strategies? Where are the winning formulas? Surgery, chemotherapy and radiotherapy have remained for decades the most commonly prescribed treatments; and despite its reputation as the go-to cancer treatment, chemotherapy has an average 5-year survival success rate of just over 2 percent for all cancers and can, by itself, contribute to the recurrence of cancer by making cancer cells more resilient. Moreover, survival gains for the most common forms of cancer are still measured in additional months of life, not years. Should we be spending more money on research? More than 40 years after the war on cancer was declared, we have spent billions fighting the good fight. The National Cancer Institute has spent some $90 billion on research and treatment during that time. Some 260 nonprofit organizations in the United States have dedicated themselves to cancer—more than the number established for heart disease, AIDS, Alzheimer’s disease, and stroke combined. 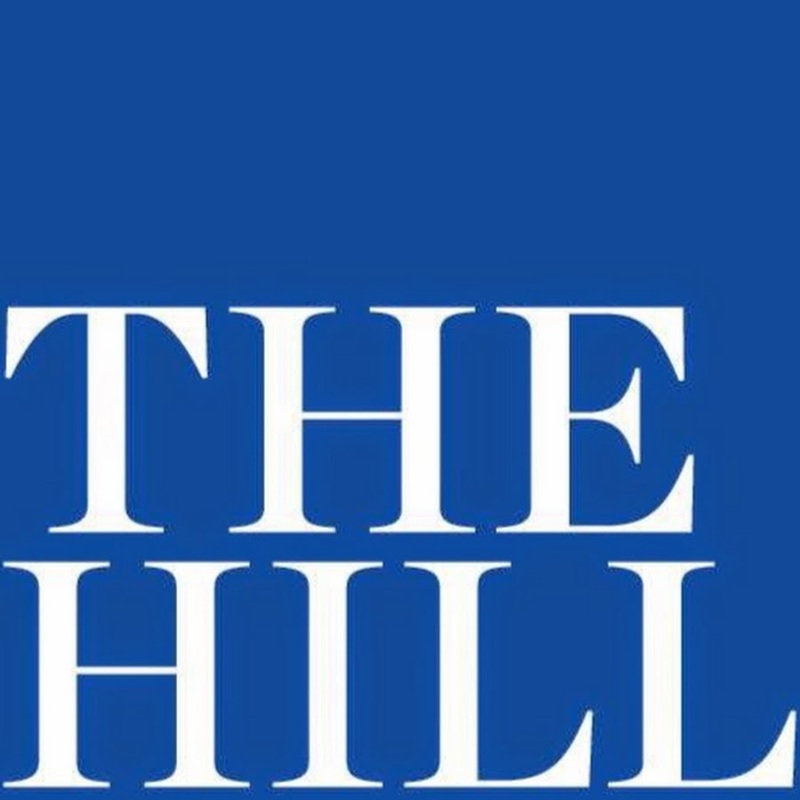 Together, these 260 organizations have budgets that top $2.2 billion. Working with the self-fulfilling assumption that the cancer market will grow, not shrink, the cancer industry has lost its way. “The search for knowledge has become an end unto itself rather than the means to an end,” explains Clifton Leaf, author of a 2004 article that made the cover of Fortune . I think everyone believes that at the end of the day, cancer is going to be treated with multiple targeted agents—maybe in combination with traditional chemotherapy drugs, maybe not. Because that’s where the biology is leading us, it’s a future that we have to embrace—though it will definitely require different models of cooperation. But what if the solution has always been there, just overlooked by the pharmaceutical industry? Natural products have long been recognized as excellent leads for drug development. The earliest anticancer drugs approved by the FDA and derived from natural products were the vinca alkaloids (vincristine in 1963 and vinblastine in 1965), which were isolated from Madagascar periwinkle plants found growing in Jamaica and the Philippines. Similarly, Paclitaxel was first isolated from the bark of the Pacific yew tree (Taxus brevifolia) in the state of Washington as part of a collection program undertaken by the U.S. Department of Agriculture on behalf of the National Cancer Institute (NCI). However, only a new, patentable, molecule will bring a significant return on investment. Unfortunately, when a molecule is modified and synthesized in order to conform to patent law requirements, it often becomes highly toxic. But since it is the only one able to command a substantial return on investment, it will be the only one considered for development. What if the best treatment is natural, and is of no interest to pharmaceutical companies? Today, it would go unnoticed. The system is distorted. Research of the late Mirko Beljanski, PhD, one of the first green molecular biologists, shows that cancer can be addressed with new and non-toxic ways, thanks to natural molecules able to selectively target cancer cells. Beljanski was called upon by President Mitterrand of France to treat his prostate cancer, allowing him to reach his second term in office, but upon his death, Beljanski became the subject of relentless persecution aimed at wiping out his legacy. Since 1999, The Beljanski Foundation, a New York City-based 501(c)(3) nonprofit organization, has sponsored research on the anticancer properties of the extracts discovered by Dr. Beljanski. These research programs—conducted with several high-profile institutions including Columbia University Medical Center, Kansas University Medical Center, and Cancer Treatment Centers of America--have all led to many peer-reviewed publications. • Work against cancer stem cells. Additionally, a clinical trial confirmed the efficacy of another of Dr. Beljanski’s discoveries for maintaining a healthy level of platelets during chemotherapy treatment. Health care systems around the world are all plagued by ever-increasing costs and long waits at hospitals for expensive conventional treatment. Some systems work better than others in terms of reimbursements, accessibility, and coverage, but they are all straining under the pressure of spiraling cost and reduced access. Yet, the main issue is not so much whether the treatment is expensive or affordable, but rather whether it is effective. Even an inexpensive treatment, which is not effective, still costs too much. By changing patent laws that force medical companies to create a new man-made molecule in order to be able to patent and make money on it, by changing the way scientific grants are awarded, by creating a patient-centered and health-centered health system rather than a sick-centered health system, the government could possibly create a new way to look at cancer drugs and get us closer than ever of winning the War on Cancer. Government should also stop preventing dietary supplement manufacturers from making any health claims, even when backed by solid science. It only deprives the public access to useful information. Only the funding and sharing of scientific information will allow us to take back our power over our health. The good news is that more and more good doctors are refusing to be turned into five-minute prescription dispensers. They recognize that medicine is a holistic, multifaceted discipline. They value nutrition, psychology, and environmental medicine as part of their medical practices. Meanwhile, patients are becoming more and more empowered and educated. In growing numbers, patients are seeking new personalized solutions to replace the old one-size-fits-all approach to medicine. The stats show that while we live in a world increasingly toxic, more and more great individuals courageously and relentlessly fight their cancers—and win. All of them have prevailed by taking control of their lives, and making sure that “they never, never, never give up,” as Sir Winston Churchill, an expert at winning war, once advised. 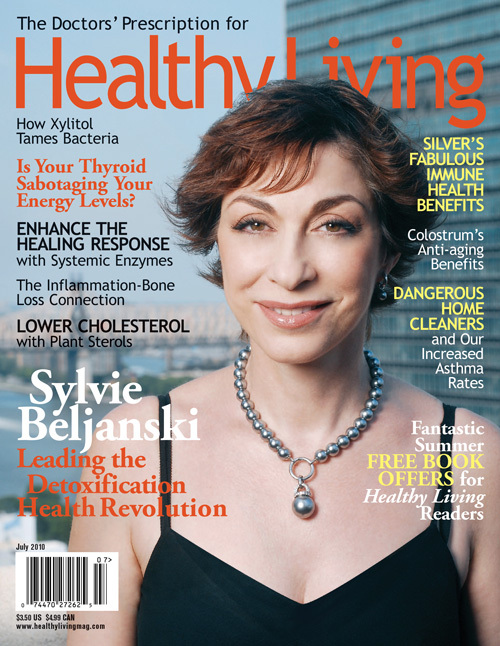 Sylvie Beljanski is the vice president of The Beljanski Foundation, author of Winning the War on Cancer: The Epic Journey Towards a Natural Cure (June 2018), and daughter of the late French molecular biologist Mirko Beljanski, PhD. She was also interviewed on NBC News TV Channel 4 in New York City. She is an active member of: National Association of Professional Women; French-American Chamber of Commerce; Greater New York Chamber of Commerce; The Fashion Group International; and The Luxury Marketing Council. Ms. Beljanski resides in New York City. 9/7/2018 Metastasis kills an estimate of 90% of cancer patients. Cells from the primary tumor travel from the body causing the cancer to spread. There has been no change in the mortality rate for metastatic cancer in over 50 years. It is almost impossible to treat cancer once it has disseminated throughout the body. Science has done plenty of research trying to determine the exact reason for metastasis as well as methods of prevention. Considering the length of time that has passed, it would appear we have made very little progress. However, in recent years, there have been some promising studies. DNA molecules have been identified that are responsible for the proliferation of cancer cells. Blood flow has also been shown to be a key factor in cancer spread. Different cancer types must be researched as each of them have different reactions toward treatment. Pancreatic cancer, in particular, is one of the most aggressive and resistant to traditional treatment. New therapeutic targets have also been identified that have the potential to eliminate the chances of metastasis entirely. 8/30/2018 In the United States, nearly 1 in 3 people will develop cancer at some point in their life. The world has been fighting against cancer for over sixty years, and it often time seems that we are no closer to a cure than when we started. Traditional cancer treatments are not nearly as effective as we would want them to be. Chemotherapy and radiotherapy do just as much harm to healthy cells as they do to cancer cells since the treatment does not differentiate. Blood cells are damaged because they have low resistance against chemo. Studies have also found that chemotherapy can actually increase tumor growth and make cancer worse. Alternative treatments are usually met with skepticism due to the lack of interest and funding in natural compounds, but that may change as new studies and information come to light. Pao Pereira and Rauwolfia Vomitoria are covered extensively in Winning the War on Cancer, and in light of those two natural compounds, it is essential to seek out more natural treatments in our search for a cancer cure.